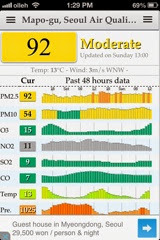 Seoul cafes: Horrible air quality yet again. Horrible air quality yet again. 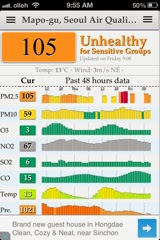 The past few days have been horrible disgusting air... When the norm is about 20s.. It's been 80-100 lately. Yuck! hi are u still in seoul?